Home » Meet the vultures of the ACC landfill this Sunday! Meet the vultures of the ACC landfill this Sunday! 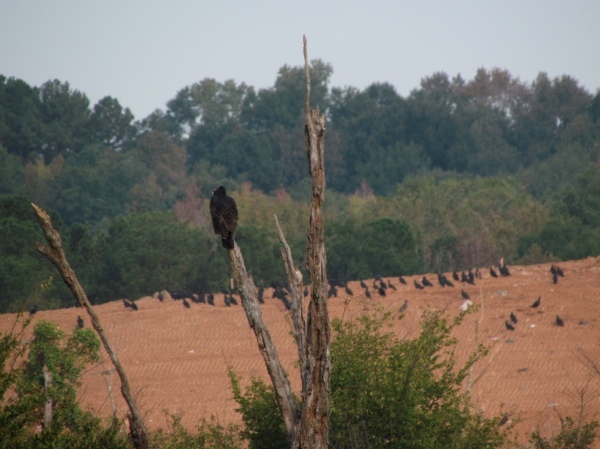 The Oconee Rivers Audubon Society, in conjunction with the Athens-Clarke County Landfill, will be hosting a special Sunday birdwalk at the landfill on October 21st. The landfill is a new rotation in our schedule, and this year's spring trip there was spectacular as there is rich and diverse habitat. In particular, we are hoping for migrating fall Sparrows. We will be meeting about a quarter mile inside the gate off of Lexington Road. For more information about the event go to http://www.athensclarkecounty.com/Calendar.aspx?EID=5107. For more information about the Athens Landfill click here.